Patented LED lid lights are off when ready to run, on during the cycle, and flashing from the time the cycle ends until the lid is opened. your validated settings on the included label. Set and lock to a single cycle to further ensure standardization, even across different sites. 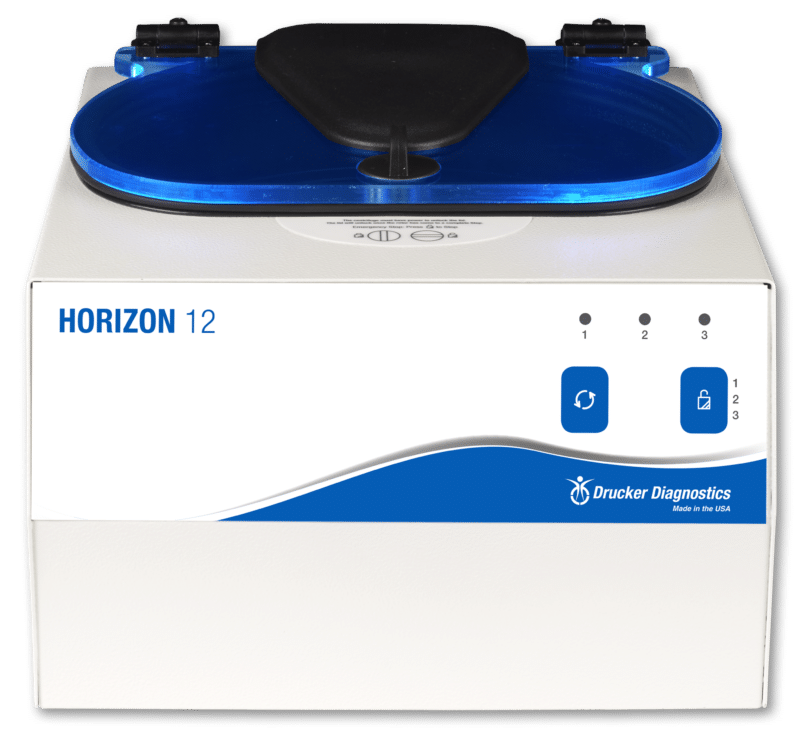 Standardize the lab with HORIZON. All models share the same interface and are protected by Drucker’s standard 2-year warranty and lifetime rotor warranty. Extended warranties are available. 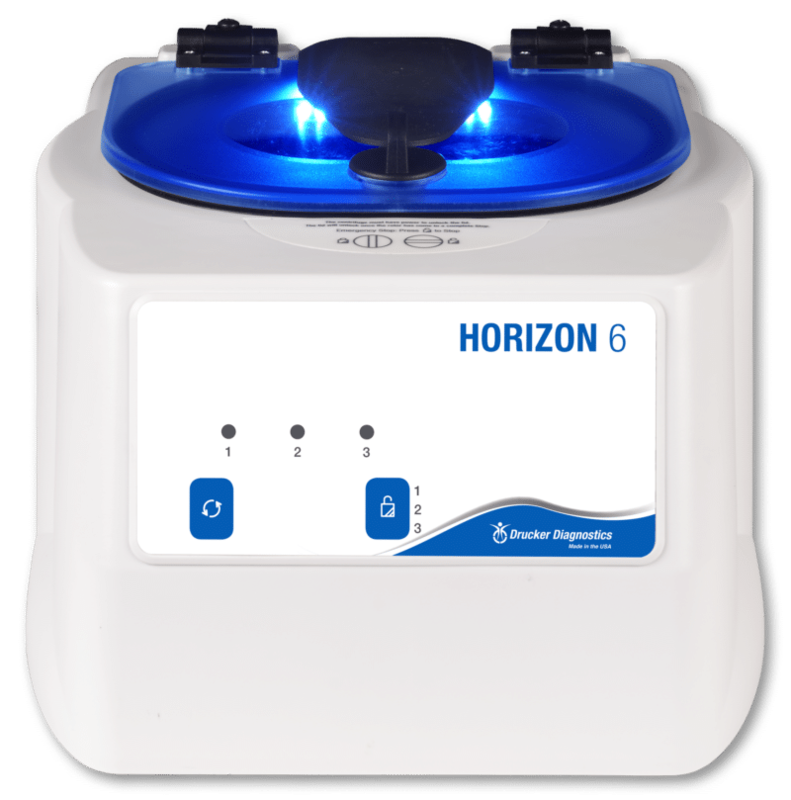 Process samples more efficiently with HORIZON’s patented LED lid lighting. 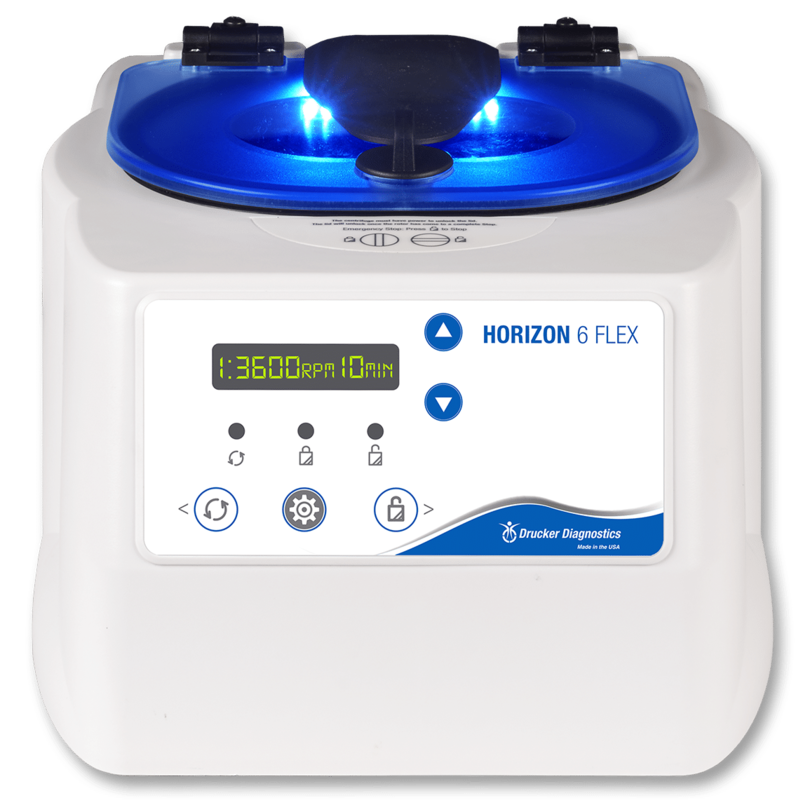 The blue lid lights are off when the centrifuge is ready to load, on when running, and flashing at the end of cycle. Customize your settings and check every detail on the HORIZON Flex’s digital display. The easy-to-use visual menu and five-button interface ensure error-free processing, every time. Once the cycle begins, the digital display counts down time remaining in the spin. From unboxing to spinning samples in seconds. Save up to 10 custom time, speed, acceleration, and braking settings, or choose from a variety of factory presets for chemistry, coag, and urine. 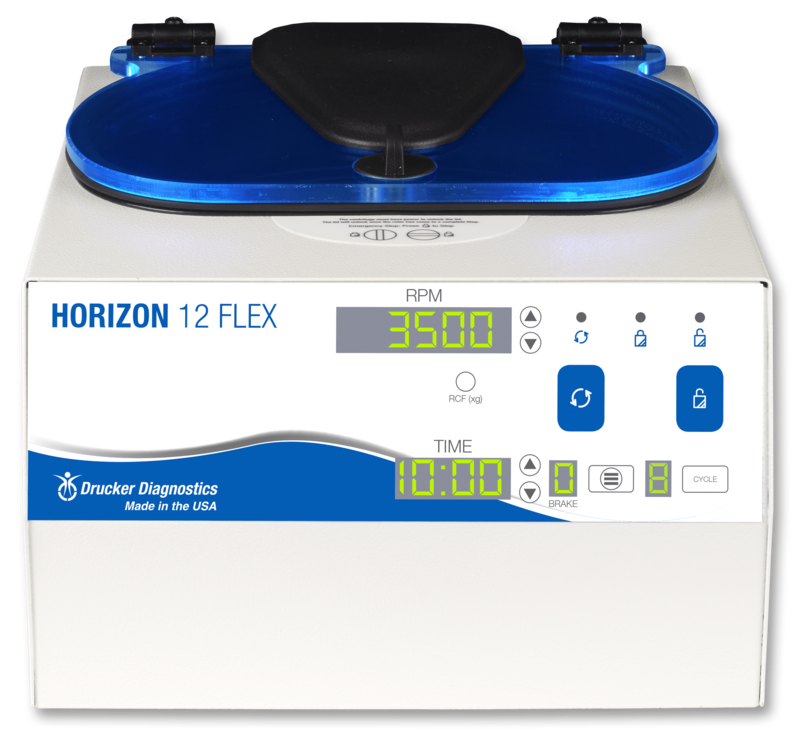 Choose the HORIZON 6 Flex FA for its digital display and 10 programmable cycles. 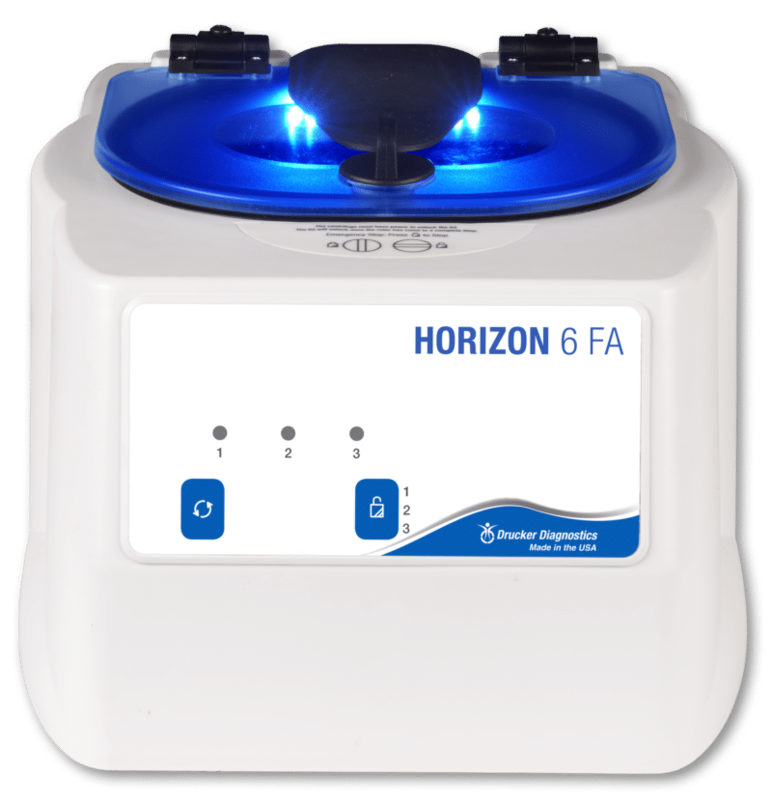 Select the HORIZON 6 FA for simple “set-and-lock” controls. Both models spin 75-100 mm (3-10 mL) tubes without cushions, or 125 mm (15 mL) tubes in the included additional tube holders. 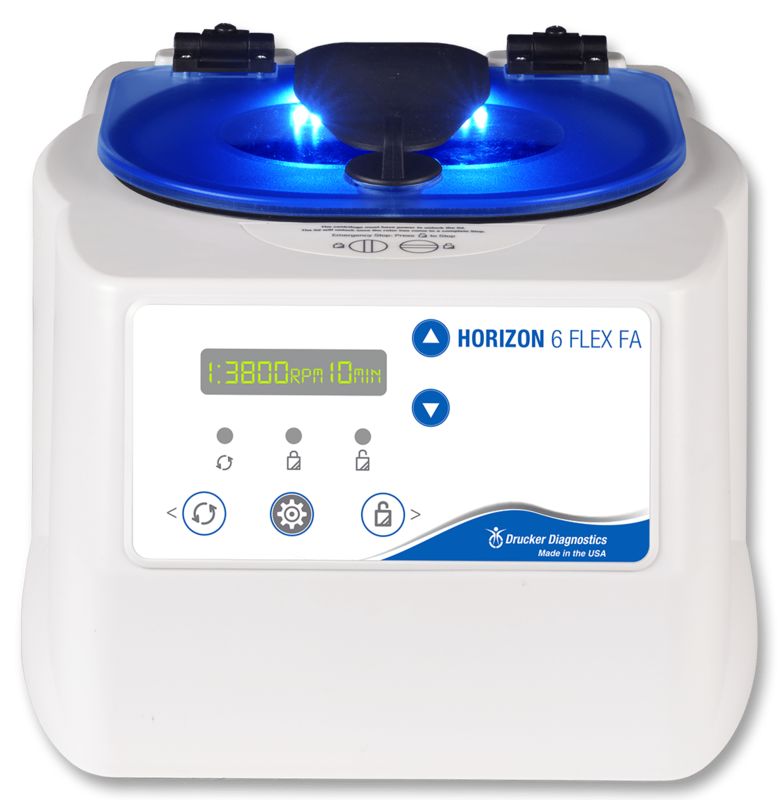 Meet fixed angle processing needs for PRP, urine, and more at an affordable price.